Common Charges: $3.00 Sq. Ft.
Second floor office space in well-recognized building with superb visibility, signage and exposure on Rt. 302. Across the street from Enterprise Drive. Open concept layout and owner/builder can build-out offices to suit tenant. Larry began his career in banking as a commercial loan underwriter and mortgage lender. After his career in banking, he started a career in real estate and became a regional vice president for a publicly traded land development company, in Northern New England and later became a real estate project and property manager for a private investor with investments in Maine and Antigua. 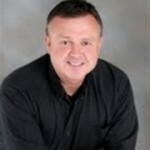 Larry has been licensed as a Maine Real Estate Broker since 1989. Larry has extensive experience in sales and leasing of commercial real estate, land development, condo conversions, recreational and residential real estate and also has experience with manufacturing, assembly and distribution companies. Larry assists his clients with all of their commercial real estate sales and leasing needs. Larry is currently Vice President of the Windham Economic Development Corporation and is a Board of Director of the Sebago Lakes Region Chamber of Commerce. He studies Martial Arts with Kyoshi Skip Varney and is a First Degree Black Belt in the style of Chinese Goju Karate. He was born and raised in Portland, Maine, graduated from Falmouth High School and from Husson College with a B. S. in Accounting Management, where he was also a member of Tau Kappa Epsilon Fraternity (TKE).